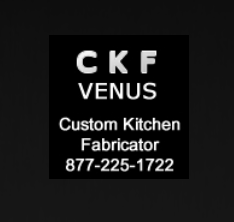 Description: Custom Kitchen Fabricator, found in 1993 in Texas, focuses simply and purely on Stainless Steel Fabrication. We build mass-produced custom steel Kitchen and other products for commercial and retail clients. From Full Kitchens to small parts, Prep Tables to Vending Carts and Trailers, Waterfalls to Dog Washing sinks, we can make it from scratch. Will work with your specs or help with the needed design. We focus on the important things to give you the best products and experience working with us we can: quality craftsmanship with high grade materials, impeccable customer service, and timely deliveries (rush possible). Also a great Green option our products are fully and 100% recyclable with no degradation. Past Customers: None that we’re aware of yet. Contact us to provide feedback. Customer Reviews: None yet. Tell us what your experience was like.